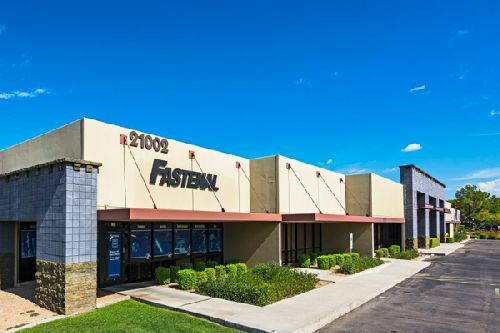 Capstone Advisors paid $6.64 mil for First Rose Garden Commerce Center, two multi-tenant industrial buildings totaling 73.3k sf ($91/sf) in Phoenix. First Rose Garden Commerce Center is located at 21002 N. 19th Ave and 1950 W. Rose Garden Lane, just west of I-17 and north of Hwy 101. Completed in 1981, the property was fully redeveloped in 2005. The property offers street frontage exposure, as well as efficient grade-level loading with flexible space configurations. At the time of sale, the property was 87.2% leased to eight tenants. Steve Lindley, Bob Buckley, Tracy Cartledge and John Pompay of Cushman & Wakefield’s Phoenix office negotiated the transaction on behalf of the seller, San Diego-based CALCAP Advisors Inc.
“The property is located at one of the highest profile intersections in the high-demand Deer Valley submarket,” said Lindley. “Both Rose Garden Lane and 19th Avenue offer direct freeway access to Interstate 17 and the Loop 101. The irreplaceable location perfectly positions First Rose Garden for strong long-term performance.